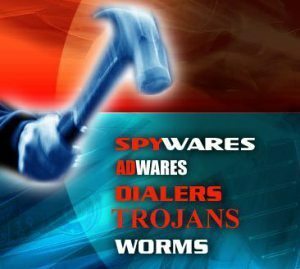 Accidental Spyware Installation is software that is installed unbeknownst the computer user. This is software that tracks personal or sensitive information. Then the software transfers it to a third party for the third party’s benefit. In other words, it steals your personal information by invading your computer. 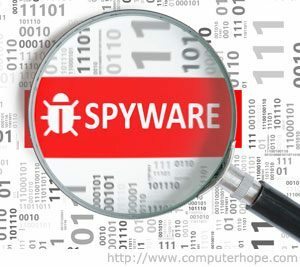 Spyware is associated and sometimes packaged with adware. After installation, adware advertisements bombard your computer with ads. This gives the spyware time to retrieve the information that it’s programmed to steal. However, adware such as the that installed on most computers when the purchased, can be benign. Yet, that is almost never the case for spyware. In fact, the spyware installs without permission. There is some software that is benign, like the ones in which you sign up for a free travel location of the month service by agreeing to receive targeted ads. You are told that you are paying for the service by agreeing to have your travel-search patterns tracked. And you understand this is the trade you are making for the privilege of receiving these travel newsletters. Therefore, you have effectively consented to let the company track your online activities to determine which ads to show you. However, the majority of spyware is installed without your permission and often without your knowledge. 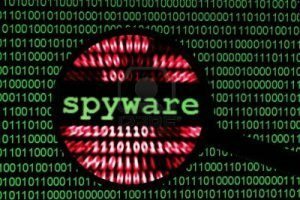 Spyware or other unwanted software infiltrates a computer system via a number of methods. A common trick is to covertly install the software during the installation of software you want, such as a music or video file sharing program. Whenever you install something on your computer, make sure you carefully read all disclosures, including the license agreement and privacy statement. Sometimes the desired software product doesn’t document the inclusion of the unwanted software. However, it may also appear at the end of a license agreement or privacy statement. Spyware and adware are classified as malware, which is a hybrid word for malicious ware. Malware also includes viruses, Trojan horses, and rootkits. Trojan horses may try to find account passwords, banking information, and even social security numbers. Therefore, they are particularly insidious. Rootkits are often very difficult to remove, because they install themselves tightly with the operating system, but can operate the same as other malware, by collecting private information, or allowing different types of access to the computer, unbeknownst to its owner. All of these malware products can cause changes to your computer’s performance and cause it to slow down or crash. Additionally, their design often makes it difficult for you to change back to your original computer settings. Sometimes, they create annoying links to websites you never dreamed you would see on your computer screen. Yet, identity theft is probably the biggest concern of today. Accidental Spyware Installation can potentially cause businesses to lose various information. Would your company be liable if your computer loses client information due to accidentally installed spyware resulting by improperly implemented security? This may depend on your industry and local laws. However, speak to your business’ attorney about this.